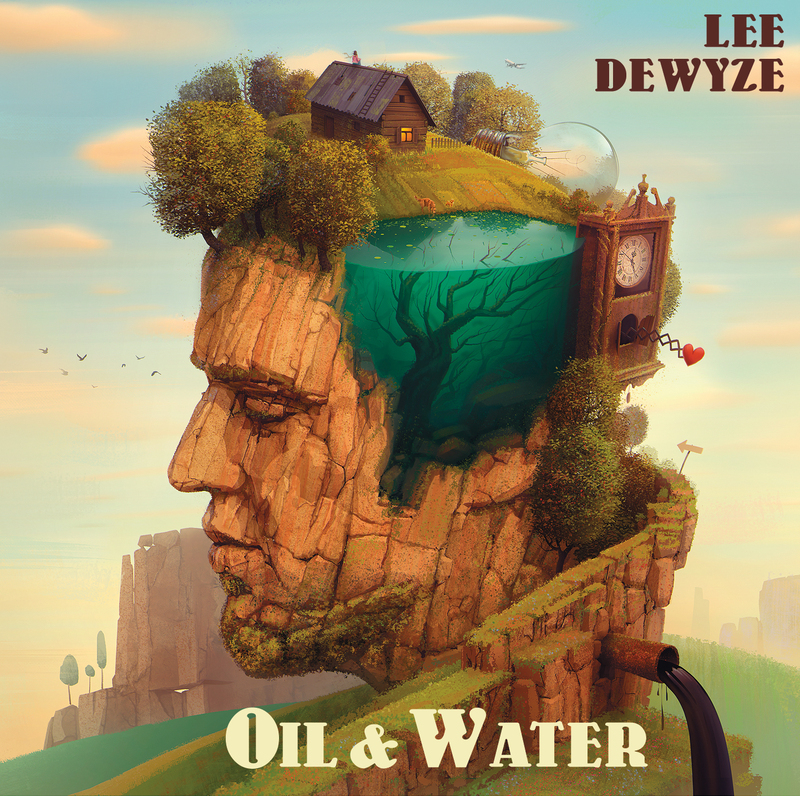 I got to play Art Director with my best friend Lee DeWyze on his album art for his upcoming album Oil & Water. Lee didn’t want to go the traditional route and just hire an artist and have them create their own vision for what they believed the album should be. Instead, he wanted to be involved in the creative process to make something personal that resonated with the music he produced on the album. When I got to listen to the album in it’s entirety for the first time, I was thrown into a world filled with powerful melodies, epic ballads, and intricate lyrical landscapes that sent shivers down my spine. And I wanted to team up with Lee and another artist to take the epic highly detailed experience he created in song, and translate it into the visual world. 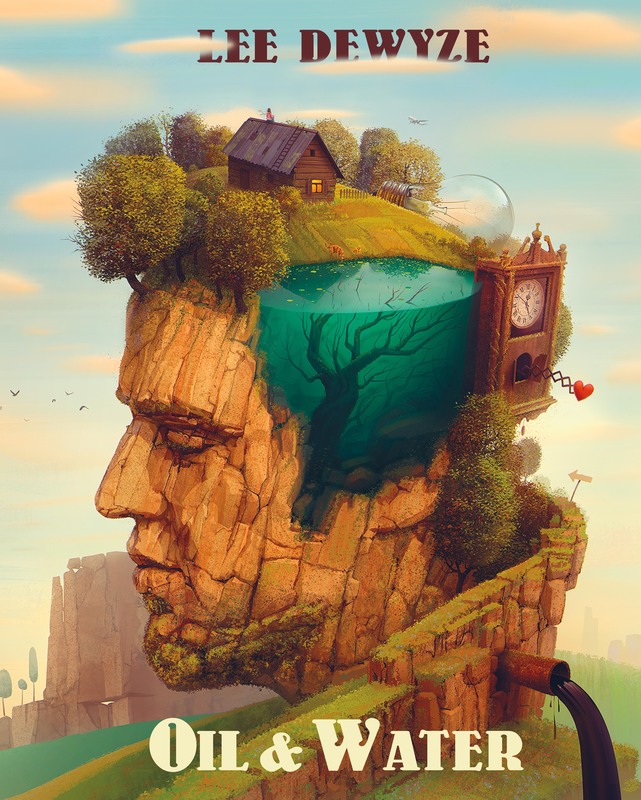 We both put our minds together and found an extremely talented surrealist artist from Lithuania, Gediminas Pranckevicius to bring onto the project. We were blown away by his artwork. Each one of his ultra high-def paintings tell a story, whisking viewers away into dreamy worlds. Combining ideas we had brainstormed together and inspiration from other works of art, we handed off the overall layout and creative design to Pranckevicius who took our ideas and combined them with his own and brought this new dreamscape to life. Each element from the design was pulled from Lee’s imagination, inspired from lyrics off the album and important figures and themes in his life. The entire creative process took about 2 weeks to complete from concept to final delivery. This was both Lee and I’s first time stepping into the role of Art Directors, and while standing on the shoulders of a giant, I can say that I’m super proud of what we all created together. But most importantly, I really can’t wait for you all to hear what inspired it all on 2/12/2016.